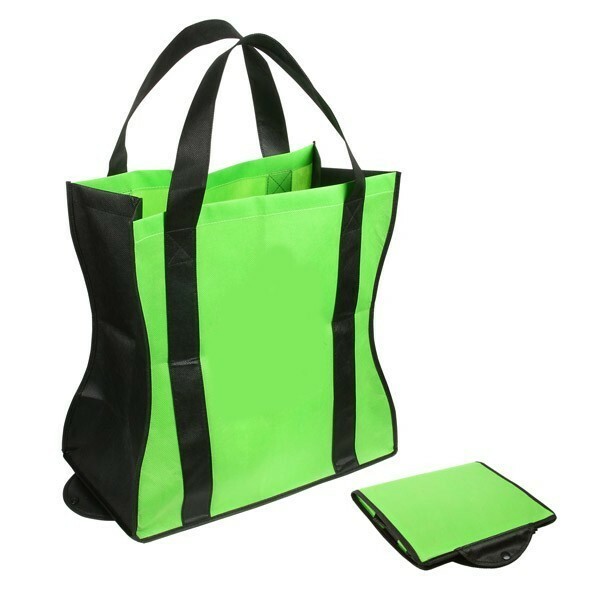 This Custom Recycled Folding Tote, offered by Custom Grocery Bags, is perfect to carry with you wherever you go. 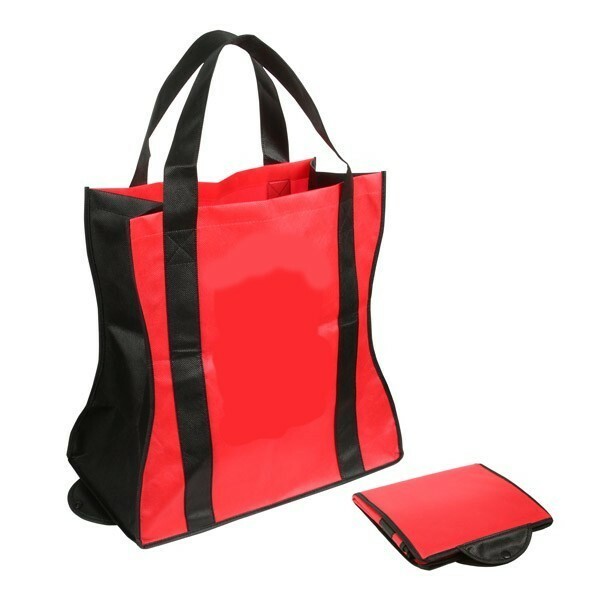 Its convenient size when closed, 9”H x 8”W, makes it ideal for saving space. 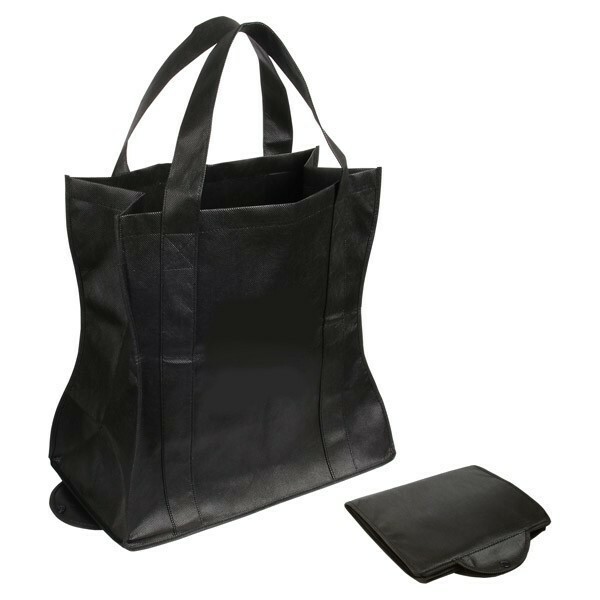 Be prepared for those unexpected shopping occasions with this stylish curved-design custom tote bag. 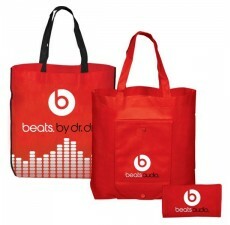 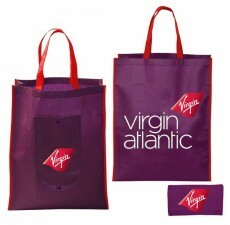 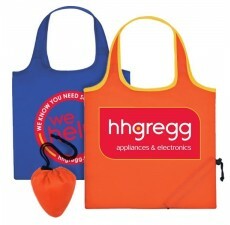 Show your brand’s unique logo to the world on this folding tote with reinforced handles and 9” gusset. 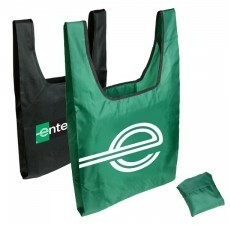 This recyclable and reusable bag is made of premium non-woven polypropylene, which is eco-friendly and safely produced. 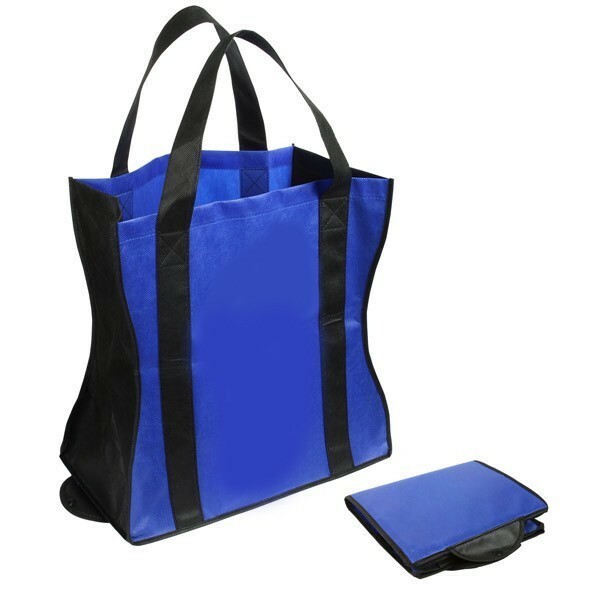 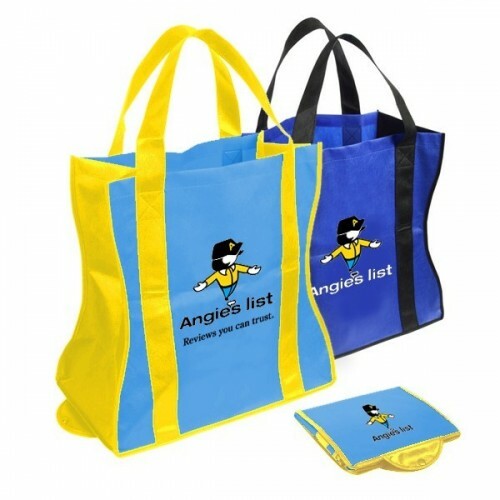 If you have questions about additional products or the customization of this Custom Recycled Folding Tote, contact our design and customization specialists.